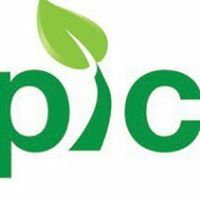 For over a year now, PIC Green (our facebook page), has been gathering comments on how the field should proceed on incorporate performance related to environmental sustainability into its professional expectations. PIC Green (AAM website page) is the professional network, formerly Professional Interest Committee, on environmental sustainability for the American Alliance of Museums. Last year we hosted the Tides of March online discussions about how to move ahead (note - this link has even more links to other professional association with developed standards). As a result of those talks, and the three years' previous Green Summits at the AAM conferences, we drafted a set of Characteristics of Excellence. While AAM is reviewing its overall process for establishing characteristics and standards of excellence, and we wait to hear about IMLS support for that effort, PIC Green continues to move its project forward. This year at the AAM conference we held a flash session to discuss the draft and made some valuable changes. The museum states its role in stewardship of the environment, demonstrates how its choices align with that role, and actively addresses related environmental concerns within the community. The museum measures and makes public its environmental impacts; sets goals for continuous improvement; and evaluates progress and effectiveness. The museum demonstrates leadership by exceeding environmental codes, regulations, and professional standards as appropriate, e.g. higher efficiency, or more effective practices. The museum has reviewed its investments and set a time frame investing in a socially responsible portfolio. The museum has a plan and time frame for becoming climate neutral, then climate positive. The museum identifies risks resulting from climate change, and takes steps to anticipate and mitigate risks and damage for itself and, in collaboration, on behalf of the community.